In an escalation against citizen journalists ahead of the planned Tamrraod (Rebellion) protests in Aug 14, photographer Qassim Zainaldeen has been arrested by masked men in civilan clothes linked to the security forces on Friday morning 2 Aug 2013 from his house at Duraz after confiscating his computer and mobile. His family went to ask about him at the Budiya police station but they were denied any information about him. More than 45 hours after his arrest, there is still no confirmed information on the whereabouts and wellbeing of arrested blogger Mohammed Hassan, who is now considered subjected to enforced disappeared. Hassan’s family received a brief call yesterday from him in which they were informed he will be transferred to the dry dock detention center, but when they went there today, 1 Aug 2013, the prison administration denied having him. They were not able to get any further information or get access to Mohammed Hassan. His lawyer has been unable to contact him as well. In addition to the concern of Mohammed Hassan’s enforced disappearance, an award winning photojournalist and close friend of Hassan’s, Hussain Hubail (21), was arrested last night, 31 July 2013, from Bahrain International Airport while on his way to Dubai, UAE. His family went to ask about him at the Criminal Investigation Department (CID) but the administration denied having Hubail in their custody. As such, Hussain Hubail is now also considered subjected to enforced disappearance as there is still no information on his whereabouts and wellbeing. Hubail won 1st place in a photography contest run by Alwasat newspaper in May 2013 for a photograph of protesters amid clouds of tear gas. BCHR has information that a photo in which Hussain appeared covering one of the opposition societies rallies, was shown to detainees in the past months at the CID and the interrogators were trying to find the identity of the photographer in that photo. The Bahrain Center for Human Rights believes that Hussain Hubail has been targeted because of his work as a photojournalist. 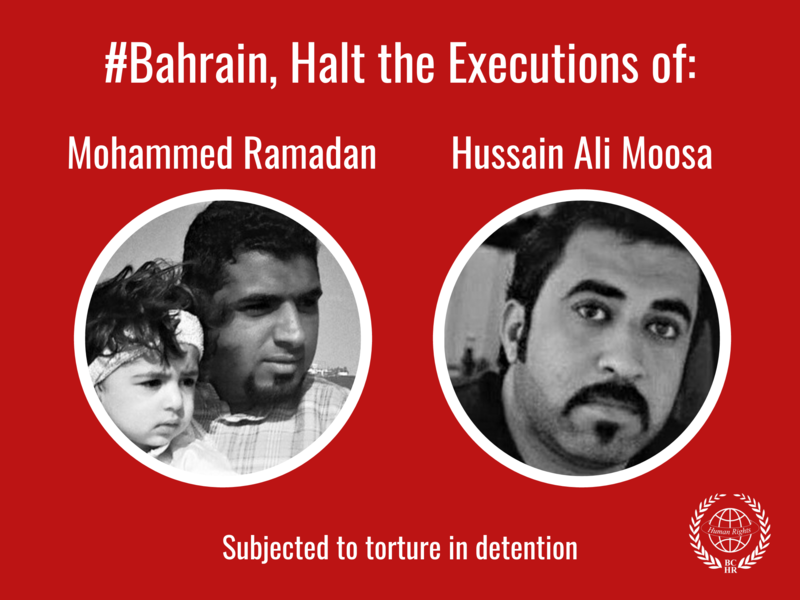 The Bahrain Center for Human Rights calls on the international community to apply real pressure on the Government of Bahrain to demand the immediate release of blogger Mohammed Hassan and photojournalist Hussain Hubail. To add to that, the BCHR calls for an end of the Government of Bahrain’s systematic targeting of online users and news providers who are exercising their right to freedom of expression in accordance with the Universal Declaration of Human Rights. The Bahrain Center for Human Rights expresses grave concern in regards to the recent arrest of blogger and media fixer Mohamed Hassan (27) during a dawn raid on his home. His whereabouts and charges are still unknown and he has not made any communication with family and lawyer until the time of writing this report. At around 3am on 31 July 2013, masked men in civilian clothes belonging to the Ministry of Interior raided the house of blogger Mohammed Hassan and arrested him without presenting an arrest warrant and without giving any justification for the arrest or the charges pressed against him. They also confiscated his electronic devices. This is not the first time blogger Mohammed Hassan is targeted by the authorities in Bahrain. Mohammed Hassan, also known as @Safybh, was known for expressing his views on twitter and on his blog http://safybh.wordpress.com/ in support of the struggle for freedom and democracy in Bahrain. He stopped tweeting and blogging since April 2013. Hassan was arrested before on 21 April 2012 while he was escorting reporters to protesting villages to show them the violations of the authorities against peaceful protesters. He was hit with a gun barrel in his leg and reportedly severely beaten before getting arrested. He was denied access to a lawyer, and released the next day. He was then arrested again on 22 April 2012 at a checkpoint in Sanabis with journalist Colin Freeman from The Sunday Telegraph. They were taken to the Exhibition Center police station. Hassan was interrogated about his connection to the journalist and they were later released without any charges. In June 2012 Mohammed Hassan was summoned for interrogation, and was accused with three charges: writing for websites and newspapers without a license, illegal gathering and tweeting. He wrote later on his twitter: "They asked me about all tweets, even the ones where I say goodnight, I was also questioned about the articles I write and the journalists I know, especially when I was arrested and beaten last April. I was accused of calling for “unlicensed" marches when I invited people to [participate in] Nabeel Rajab’s “Thank you” march, [the] problem is: it was actually licensed. After asking a lawyer I realized that I was correct about not needing a license for blogging or writing an op-ed for a website." Mohammed Hassan told his friends after the broadcast of that report: “I started getting some calls after appearing on the DanRatherReport, waiting to see their next move.” Their next move was to have him arrested and beaten in April 2012. He also participated in a Bahrain debate in Feb 2012, with a group of Bahraini youth of different views aiming to bridge their differences. Mohammed was clear in supporting the rights of people and firmly refused violence. 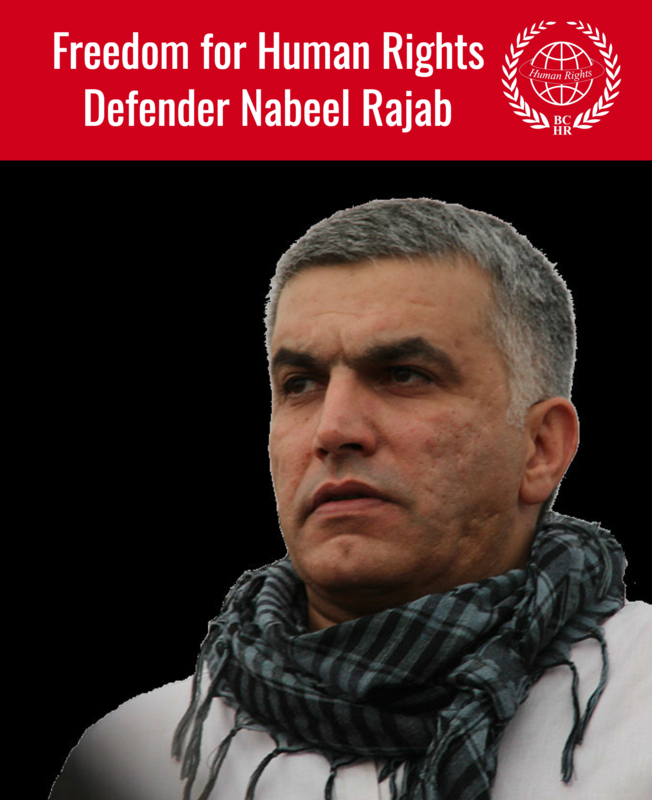 The Bahrain Center for Human Rights believes that Mohamed Hassan is repeatedly targeted merely due to expressing his views publicly over the internet and for assisting international media reporters. Based on the above information, the Bahrain Center for Human Rights demands that the Government of Bahrain immediately release the blogger Mohamed Hasan as well as all detainees who have been arrested based on reasons related to them practicing their fundamental rights of freedom of expression and peaceful assembling which are guaranteed to them by international laws.